Who doesn’t love a good ol’-fashioned house party? And if we’re saying ol’-fashioned, then get on the cocktail bandwagon and make a set of refreshing cocktails that everyone will keep sipping and loving. And if you don’t have faith in your bartending skills, then we have some quick and easy recipes that will help you prepare the smoothest concoctions ever. Are you ready to get your squad lit? Mix Ballantine’s Finest whisky, Malibu, lemon juice, sugar syrup and add a dash of egg white to make a refreshing whisky sour! Pair it with a cheese platter or sushi to make it the perfect intimate gathering. Shake with cubed ice and double strain. Add a lemon wedge on the glass for added effect. No house party menu is complete without a festive drink on the menu. Whip up Ballantine’s Rio to blow away your guests with your cocktail making skills! Fill a long glass with ice. Add ingredients and a squeeze of lime. Top it with lemonade for a zingy twist! 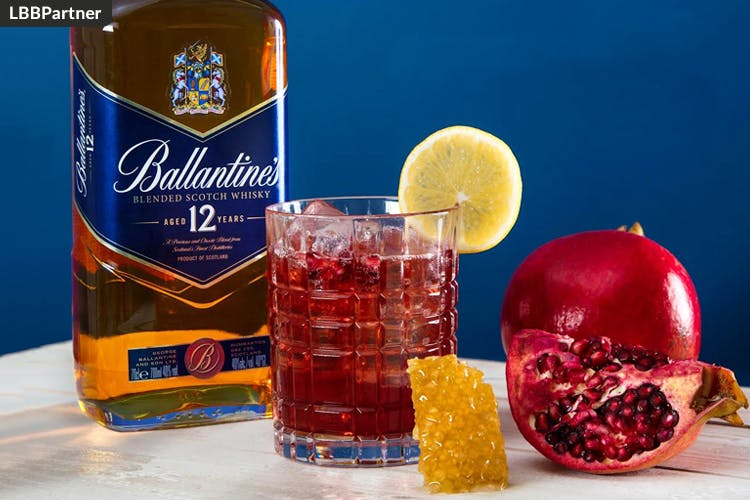 A sweet addition to any bar cocktail menu for a house party, the Ballantine’s Tokyo is perfect for those who prefer a fruity twist to their drink. Make sure you have some sliders for starters, that’ll kickstart a riot of exotic flavours for your guests while you groove to Tokyo drift. Fill a long glass with ice. Add ingredients and a squeeze of lime. Top it off with ginger ale for more flavour! With Ballantine’s Zen, you can wave away all your worries and slip into your zone. For all the people who like a sweet yet zesty twist in their drink, this is the drink for you. Add ice into whisky tumbler. Mix well together for the perfect cocktail fix. Top it up with soda. Check Ballantine’s website for more information. Follow Ballantine’s on Facebook, Twitter and Instagram.